Since the dawn of time, technology has helped the human race evolve. From simple tools to advanced robotics and automation, innovation has come along that has made our lives easier, less complicated, and more enjoyable. 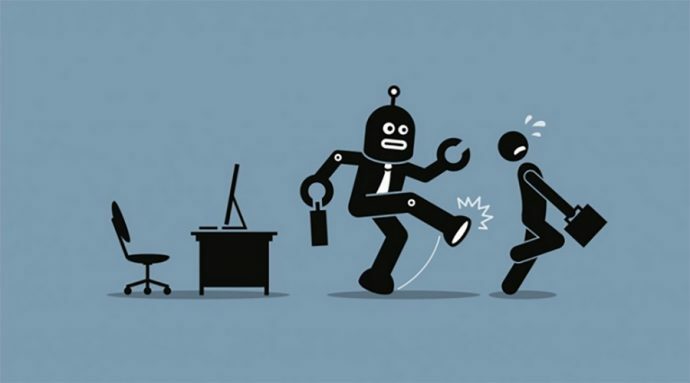 Don’t we all just want to sit back and enjoy life while the robots do all of the hard work? New Aussie start-up Ad Robot is a fully automated video creation platform that anyone can use. Anyone can now make their own professional video advertisements and titles in minutes. But before you start getting your knickers in a twist that your creative agency/production model is going to become obsolete, let’s take comfort in the fact that they actually want to work with you to become a useful tool in the process, rather than replace you – so for now at least, your job is safe. It’s essentially a large number of templates that can be adapted and changed for your project needs, adding your own pictures, clips and words in a simple way that even a Mark 1 flesh robot like myself could understand. They’ll also create new exclusive templates for you and your clients if you ask nicely. As someone who once ran social media pages for multiple brands under a roster, across multiple platforms, I’m looking at Ad Robot and wishing it was around years ago. Take one scroll through your Facebook, Instagram or LinkedIn feed and you can see how video is still being used to engage and educate an audience. But what if you don’t have the time, skill, budget or resources to make your own video content? What if you’re internal teams are too busy to help you? What if you can’t afford an external freelancer to do all the editing and titles? The new platform can bring the costs of video production for many from several thousands of dollars to under $100. Ad Robot is ideal for small businesses, institutions, real estate, journalism, and content creators of all kinds. Social media managers jobs could get busier while they respond to all of the great comments and interactions that their new videos will get! I started playing around on the site and instead of a useless generic chatbot, found myself quickly talking to founder Lachlan Phillips. A former animator and filmmaker who worked on projects like The LEGO Batman film, his vision was to bring the power of video within reach of all business, regardless of size or market segment. Prices range from $39 for titles up to around $99 for a full TV commercial or explainer video. If you think that’s good, Ad Robot has teamed up with CTL to offer early adopters a further 20% off on each video created. Simply type in the coupon code “iloveadrobot” to keep saving! THAT “WASCALLY WABBIT”: TURNS 80, HAPPY BIRTHDAY BUGS.